KingTools is A Multi-Brand Tools Support many phones with Exclusive solution. All in One Tools For Repair,Unlock,Frp. The Best and Cheapest Tool Remote Unlock Samsung USA and Japan Phone: T-Mobile, MetroPCS, Sprint, AT&T, AU KDDI, Docomo ! 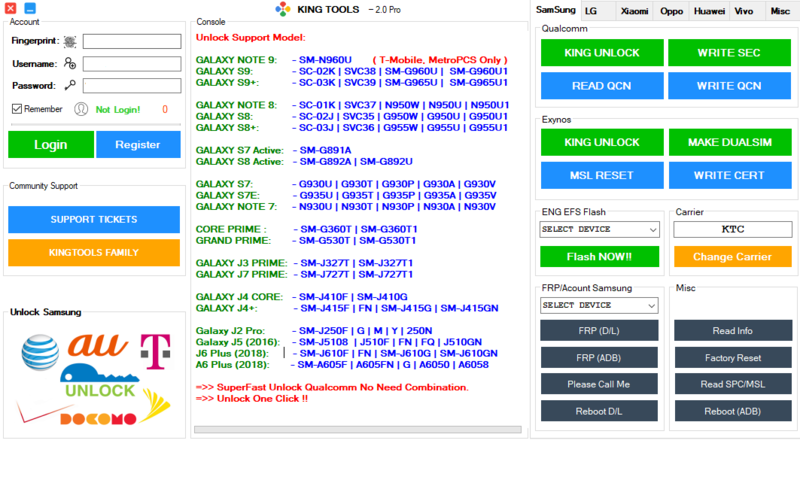 Direct Unlock Samsung USA and Japan Phone: T-Mobile, MetroPCS, Sprint, AT&T, AU KDDI, Docomo ! Success samsung g955f unlock done! Success G930T U8 Unlock Done! Below you can find the official list of authorized Resellers in different countries.